Researchers from Mount Sinai and IBM say they have discovered a new clue in explaining how cancer cells with identical genomes can respond differently to the same therapy. In a Nature Communications paper (“Mitochondrial origins of fractional control in regulated cell death”) the scientists showed that the number of mitochondria in a cell is, in great part, associated with how the cancer responds to drug therapy. While treatments for cancer continue to improve as technology advances, researchers and clinicians have been unsuccessful in explaining the diversity of responses in cancer cells to treatments of oncological disease. In many cases, cancer cells with matching genetic makeup will respond differently to the same treatment. Mount Sinai and IBM researchers combined computational and biological methods to uncover a clue to this behavior. “Individual cells in clonal populations often respond differently to environmental changes; for binary phenotypes, such as cell death, this can be measured as a fractional response. These types of responses have been attributed to cell-intrinsic stochastic processes and variable abundances of biochemical constituents, such as proteins, but the influence of organelles is still under investigation. We use the response to TNF-related apoptosis inducing ligand (TRAIL) and a new statistical framework for determining parameter influence on cell-to-cell variability through the inference of variance explained, DEPICTIVE, to demonstrate that variable mitochondria abundance correlates with cell survival and determines the fractional cell death response,” the investigators wrote. Cells die when met with bacteria, malnourishment, or viruses. But also, to promote normal function, our bodies eliminate billions of cells each day via apoptosis. 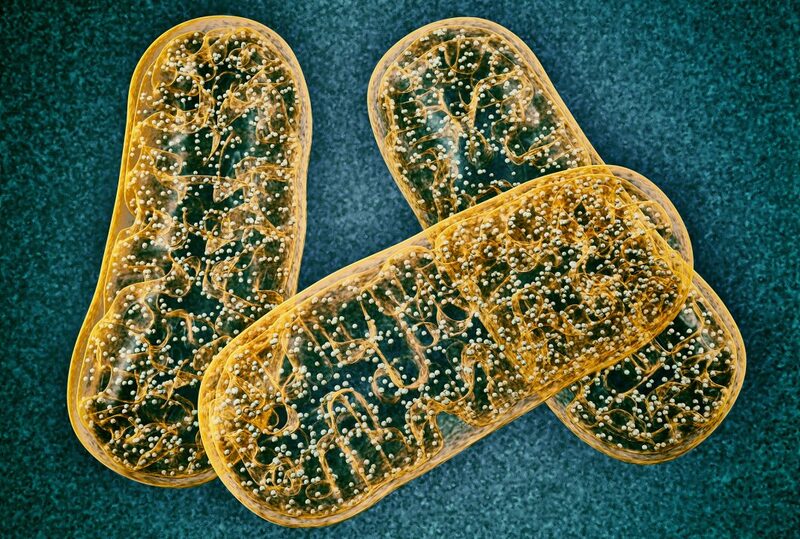 Mitochondria can also act as a catalyst in the activation of apoptosis, and certain anticancer drugs work by activating this process. This function scientists use to explore the hypothesis that cancer cells with identical genetic makeup, but different quantities of mitochondria, may have varying susceptibility to death if exposed to the same drugs that promote apoptosis. In exposing various types of cells to six concentrations of a pro-apoptotic drug and measuring the abundance of mitochondria within the surviving cells, the Mount Sinai and IBM team discovered that surviving cells had a greater amount of mitochondria than untreated cells. This strongly suggests that cells with fewer mitochondria are more likely to respond to certain drug treatments. To analyze this data, researchers used a mathematical framework called DEPICTIVE (an acronym for DEtermining Parameter Influence on Cell-to-cell variability Through the Inference of Variance Explained) to quantify variability in the survival or death of cells due to mitochondrial abundance. Overall, the framework determined that the variability of mitochondria explained up to 30% of the varying responses to the pro-apoptotic drug. “Enhancing our understanding of the relationship between mitochondria variability and drug response may lead to more effective targeted cancer treatments, allowing us to find new ways to tackle the problem of drug resistance,” said Pablo Meyer, PhD, adjunct assistant professor of genetics and genomic sciences, Icahn School of Medicine at Mount Sinai, team leader of translational systems biology at IBM Research, and co-corresponding author of the publication.